How long should you rest between sets? 1 minute? 3? What about 5 minutes? Should you be fully recovered before doing another exercise? Does endurance play a role in your workout regimen? Today we are discussing the optimal rest time between sets. 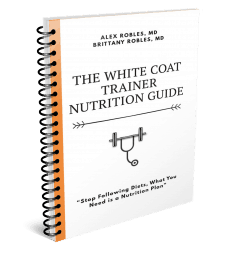 This is the sixth installment of the WCT Workout Routine Basics, where we cover the most fundamental questions of working out. In Part 2, The 3 Best Workout Splits Of All Time, we go over how to structure your workouts. In Part 3, Free Weights Vs Machines we cover the pros and cons of the each and help you determine which you should use in your training. In Part 5, How Much Weight Should You Lift, we go over how to determine how heavy your weight should be. Alright, let’s not rest too long and get started. Far too many people rest way too long between sets. Depending on what you are training for, your rest periods should be carefully selected. In general, the heavier the weight you are using, the longer your rest periods should be. In contrast, the more repetitions you do per set, the shorter your rest should be. We can then conclude that the heavier the exercise, the fewer reps you will be able to accomplish, and the longer your rest period needs to be. Are you training for strength? Are you training for maximum power? Or are you training for muscular and cardiovascular endurance? In other words, are the weights light, moderate, heavy or very heavy? Most people are training with hypertrophy without even knowing it. This is the typical 3 sets of 10 repetition scheme that almost everyone seems to use. If you are training for hypertrophy, then you should be lifting weights that are moderately heavy. If you are training in the hypertrophy range, you should keep your rest periods between 2 and 3 minutes. This is important. If you wait too long or go too soon, then you can negate the effects of hypertrophy training. 2-3 minutes goes by fast. If you are with friends chatting it up, or on your phone answering emails, you may miss the boat. then 3 minutes later you only get 8 repetitions on the third set. This is normal. In order to induce muscular size/development, you need to continuously stimulate your muscles in a relatively short time frame. As we discuss in How To Create A Fitness Plan in 3 Simple Steps, you should use the hypertrophy range for the majority of your training, but it is also important to change the rep schemes. You shouldn’t stick to the hypertrophy range forever. You need to also train for strength. It should go without saying that if you are training for strength, you should be using heavy weight. This means your weights should be challenging. If you can do more than 6 repetitions per set, then you are not training for strength. Conversely, you should at least be able to get 4 solid reps. If you are training in the strength range, you should keep your rest periods between 3 and 4 minutes. The heavier weights will fatigue your central nervous system much more than hypertrophy range weights. Several studies have confirmed that 3 minutes is a good time frame to rest to build muscular size and strength. In addition, it may take a minute or two just to get your mental fortitude right for the next set. The longer rest periods should allow you to keep the volume relatively constant across sets. As a result, you will need to rest much longer in order to actually perform another beneficial set. For example, you should be able to get 5 reps on the first, second and third set provided the weight isn’t crushing you. It is always fun to dabble in the maximal strength range from time to time. This is where you can lift the most amount of weight possible for just one repetition. In order to train for maximal strength, you should use very heavy weights. If you are training in the maximal strength range, you should keep your rest periods between 4 and 5 minutes. Training in this range is tough mentally and physically. 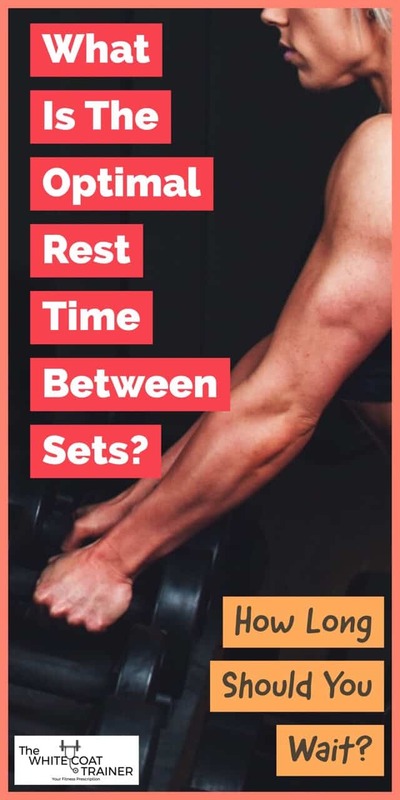 The purpose of the longer rest period is to allow the accumulated fatigue from the sets to dissipate and allow you to perform more than one set. Why should you train in this range? Purely for fun. It is the one true method of seeing the accumulated progress you have made with training. A one rep max shows you what your body is capable of. Again, only an experienced lifter should utilize this type of training due to injury risk. Training for maximal strength should only occur twice a year at most. How Long Should You Rest Between Sets To Build Endurance? The last category is training for endurance. This is also known as metabolic conditioning or met-con for short. This is beneficial for athletes who enjoy long distance, or long duration athletic events such as running or CrossFit. Endurance training will typically utilize rep ranges > 12 reps per sets. Some training programs call for 20 rep sets. Obviously, the weight lifted will be “light” compared to the other three training modalities, so the intensity of the exercise is much less. If you are training in the endurance or metabolic conditioning range, your rest periods should be 30-90 seconds. This type of training is more cardio-esque than anything. Your cardiorespiratory capacity will likely be your limiting factor. This is why the rest periods are kept short. It allows you to keep an element of aerobic capacity at all times. Do not expect to get any significant muscular size or strength using this training modality. What If I Am Doing Supersets? How Long Should I Rest Between Those? What if you are doing supersets? How long should you rest between those exercises? A superset is a form of training in which you perform two distinct exercises back to back with taking little to no rest in between the movements. For example you may do lunges for 12 repetitions, take a 30-second break and perform a set of pull-ups for 8 repetitions. Why would you do supersets? They save time. Particularly if you are someone who does not have a lot of time to spend in the gym. This is one of our 9 Effective Workout Hacks To Spend Less Time in the Gym. Obviously, supersets are best done on exercises that do not interfere with each other. I.e, don’t superset pushups with dumbbell bench press. There is no hard and fast rule on how much rest you should take between superset exercises. You don’t want your rest period to be so short that you can’t accomplish the work, and you don’t want to make them be too long, otherwise, there is no point in super-setting. A good rule of thumb is to take 30-60 seconds between the two superset exercises, and then 2-3 minutes before restarting the next superset. As always, the lighter the weight, the shorter the rest period should be. Lastly, you should only use supersets on your secondary exercises, not the major compound exercises that we describe in The Best Workout Template For Busy Professionals. Do Different Muscles or Exercises Require Different Rest Periods? Different exercises will require different rest periods. The large compound exercises for example, will always require more rest than an isolation exercise. Just think about how much more fatigued you are after performing a set of deadlifts compared to a set of tricep pushdowns. You will need 1-2 minute just to get your respiratory rate back to normal after deadlifts. Meanwhile, you can go for an all out run after performing a heavy set of tricep pushdowns. I recommend that you take at least 3 minutes of rest whenever you perform any of the Big 4 Compound Exercises or their variations. This means taking at least 3 minutes of rest between sets of squats, bench presses, deadlifts and overhead presses. I do not recommend you superset the big compound exercises. These movements should be respected. Isolation exercises will never produce anywhere near as much fatigue as these exercises would, and will benefit from the shorter rest periods described above. How long Should You Rest In Between Exercises? Ok, so now you have a good idea of how long you should rest between sets. What about rest periods between exercises? 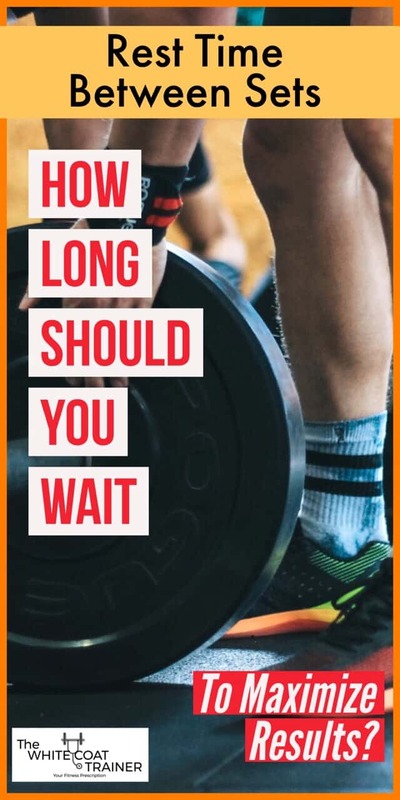 How long should you wait? It all boils down to efficiency. You should always find ways to make your workout more efficient so that you spend the least amount of time at the gym as possible. You should rest only as long as you need to catch your breath from the last exercise. If you just finished a tough set of squats, you may need 2-3 minutes to recover before starting your next exercise which may be romanian deadlifts. Don’t use this time to catch up with your buddy or start scrolling through your instagram feed. Hydrate, put your weights away and start getting things ready for the next exercise. Always aim to move on as quickly as possible. You may not be completely recovered, but forcing yourself to keep working will build aerobic capacity. How Long Should You Rest In Between Workouts? We have covered this before but it bears repeating. You should aim to workout 3-4 times a week, and not go more than 2 days in a row without taking a rest day. In addition, you should not train the same muscle group with heavy compound exercises on two consecutive training days. Give each major muscle group 48 hours to recover. Keep in mind that these are guidelines, and your life may force you to deviate from these recommendations. The key is that you try to stick to the plan as often as possible, and be flexible enough to make necessary changes when the situation arises. You now have a guide on how long your workouts should take. Use your rest periods wisely, and change them based on the number of reps you are performing and the specific training modality you are using. Don’t make the mistake of wasting time in between sets of exercises. When you are at the gym, it’s time for work, not play. Have you ever changed the rest periods to improve some fitness attribute? Do you use supersets in your training? What are your thoughts on volume as it relates to rest periods? In other words is it better to do 3 sets of squats with 70% of your 1RM for RPE 7-8 with 5 minutes of rest or 6 sets of squats with 2 minutes of rest? 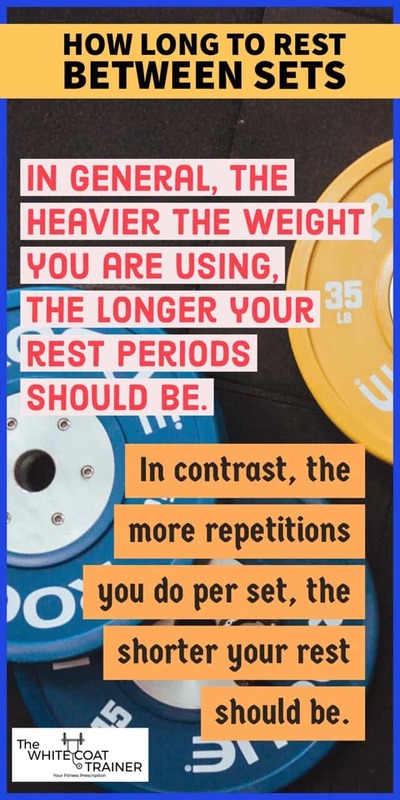 In other words, if you only have 45 minutes to workout is it better to shorten the rest periods to increase volume or maintain longer rest period but lower volume. I have been experimenting recently with dropping my rest time across the board in an effort to get more total sets per week. I have only been trying this for 4 weeks so difficult to say what if any strength gains are being made but my aerobic capacity has greatly improved. Hey Grant,That is a great question. In general, I would say the latter situation is more beneficial. Total volume will always be the biggest driving force in making progress over time. In addition, you get the added benefit of getting aerobic training as you mentioned. It will also depend on what you are training for. If you keep adding weight to the bar, there will come a time where the weights will be heavy enough to require more than 2 minutes of rest. This is particularly true for the compound upper body exercise where it takes longer for fatigue to dissipate. 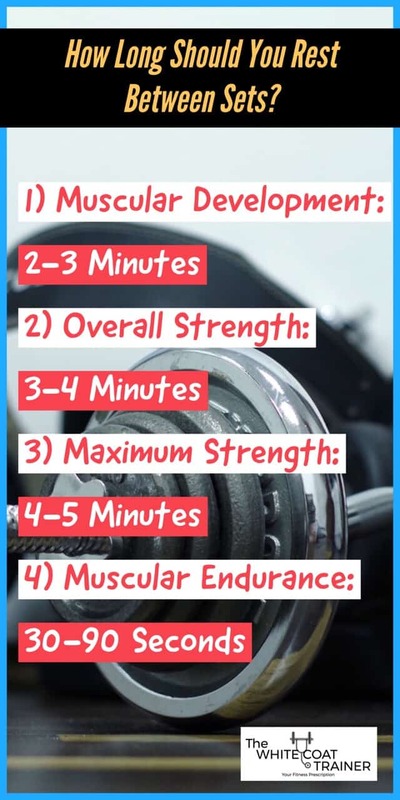 (I’m sure you have experienced being able to get x amount of reps on the first set of bench press or pullups, then getting fewer reps on the second set, and even fewer on the third). One way around this is to keep the rest periods short across the board and keep the daily volume low, but increase the frequency of the workouts so that the total weekly volume exceeds what you were doing before. You get to practice the lifts more often, and you won’t be driving yourself into the ground each training session.